Coach Training That Fits in With Your Life. If you want to train to become a coach you've come to the right place. International Coach Academy offers flexible ICF Accredited Coach Training Courses to a global student body via teleclass, an online learning environment and a student forum. Choosing a certification depends on who you want to coach and what you want to do with your coaching skills. One thing is certain is that if you are going to go down the track of becoming a Certified Coach, you should choose a globally recognised credential such as the ICF - ACC, CPC or MCC and study an Accredited Coach Training Program (ACTP) whose training is aligned with ICF competencies, is the most direct, affordable and time efficient way to credentialing. Our mission is to deliver quality, flexible self paced coach training that fits in with your lifestyle. Whether you choose to graduate fast or take your time, our coach training will equip you with the skills and practical experience to be the best coach you can be. 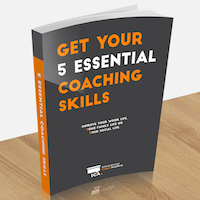 Be coached and coach your peers, specialise in a coaching niche and develop your coaching toolkit and start coaching real clients as you study so that you are fully prepare you to set up your own coaching practice once you graduate. Choosing a coach training school is an important decision and we want to make your choice easier by providing you with as much information as you need to make an informed decision. What we offer is quality, flexible, ICF Accredited Coach Training delivered via live teleclasses, an online learning environment and a forum and is all inclusive. The benefits of training with ICA is that you are training in a global coaching community and supported in your learning at every step of the way. Our coaches all tell us the same thing - they came to coaching to help other people, but the person they helped the most was themselves! Join one of our live classes (real students and faculty) to find out what it's like to train with International Coach Academy.